I made some coconut flavored sticky rice balls but instead of making the traditional split mung bean filling, I stuffed the dumplings with chocolate. I steamed them then rolled them in freshly grated coconut. They're delicious and cholesterol free. Bring water to a boil in a wok. Add a bamboo steamer insert. Lower the heat while making the dumplings. Grind the sticky rice in a mill. Sift the flour. Wash the ginger root. Peel it with a paring knife (or the edge of a spoon) and finely grate it using a microplane. 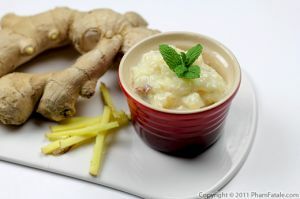 Gather about 1-½ tablespoons of the grated ginger root. In a bowl, combine the rice flour, sugar, ginger, salt and 2 tablespoons of coconut. Add the coconut milk. Stir the mixture and knead until a big white ball is formed. It will have the consistency of play-dough. Form about 1 1/2 inch diameter balls. Insert a chocolate chip inside each dumplings. To give the dumplings a fancier look, you can shape the tops to resemble a Hershey's Kiss. Cut little squares of parchment paper to put under each dumpling. It will block off some of the direct steam, allowing for even absorption of moisture while still permitting the heat to penetrate through the steamer. Place all the dumplings in a bamboo steamer. Place them on the highest level of the steamer to avoid direct heat. Steam for about 20-25 minutes over medium high heat. Combine the rest of the shredded coconut with the powdered sugar and place in a shallow bowl. Once the sticky balls are cooked, they should be firm but still moist. Remove them from the steamer, roll each of them in the coconut/powdered sugar mix using chopsticks or a fork. Serve right away so that the chocolate filling is still gooey. 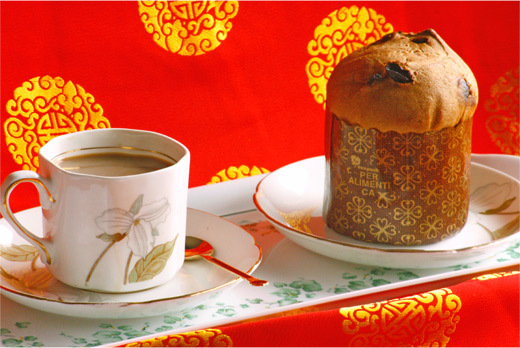 They go great with Vietnamese-style coffee. 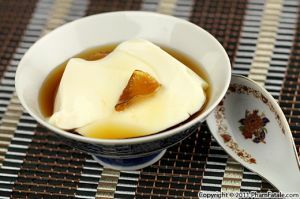 I used Hakubai brand sweet rice, a glutinous sweet rice. You can find sweet rice in any Korean market. If you don't have any, you can use any other round-shaped rice. You can buy sticky rice flour at the stores. It's called bột nếp. I prefer grinding my own though, so I know all the nutrients are preserved. I use the Nutrimill brand mill. I got it several months ago and it's very helpful for making any kind of flour. It's a great help for gluten allergies as well. I make my own flour with buckwheat, oat, sorghum and spelt. Count approximately 1 part of sticky rice flour for 1/3 part coconut milk ( I usually add an additional tablespoon of coconut milk to make the dough a little stickier). I use the largest sized Guittard chocolate chips. The bigger the chocolate chips, the better. You want a big filling of molten chocolate and a thin layer of the sticky rice. If you can't find big ones, go with two smaller sized chips per ball. I used a bamboo steamer. The bamboo adds that rustic wooden aroma to your dish. If you don't own one, you can either use a metal steamer or a plastic steamer that goes in the microwave. Microwave the dumplings for about 3-4 minutes at the maximum power output. To preserve your bamboo steamer, hand wash it, pat dry and spray with some oil so that the bamboo does not dry when it's stored. You can also roll the dumplings with toasted sesame seeds. I absolutely love chocolate but the more traditional sticky rice balls are made with split mung beans or red bean paste. 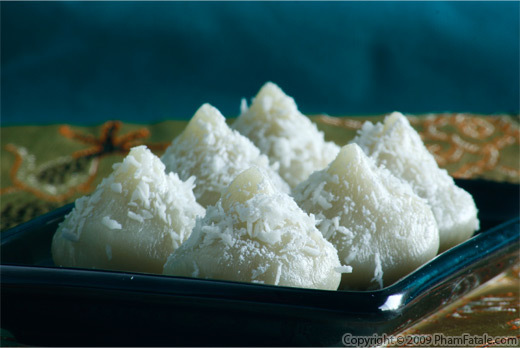 When I have time, I also like to make the Indian version of these Vietnamese dumplings by changing the filling. 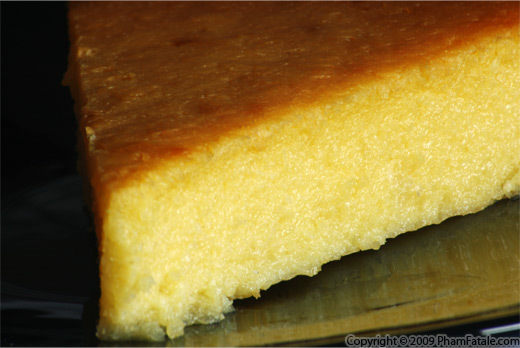 It seems like every Asian cuisine has its own sticky rice dessert recipe. For the Indian dessert, called modak, I use crushed pistachio, coconut, ghee (Indian-style clarified butter), palm sugar, cardamom and coconut as the filling. Published By: Jacqueline Pham on January 26, 2009. Those look great! They seem like mochi, and I LOVE mochi! Thank you!! 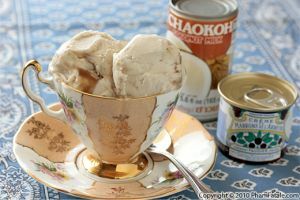 Wow, I never would have come up with a dessert like this but it incorporates many things I enjoy! hey i got here through my mail too.....see twice the same day through different links....wonderful. we do not get sticky rice here but this dumpling is made in India using coconut n jaggery filling and is called modak( in the state of maharashtra) and pithay ( in the state of Bengal) wonderful...will soon post the recipe of that on my blog .. These sticky rice balls look so good. I might try making them with my leftover red bean paste! Hi--and congrats again on your first anniversary of blogging. I too am celebrating my first as well. I must say I did not post about 3 days in 365--not too bad. Mine is mainly a photography and musings blog. But I am a Foodie too. I love your recipes and your skillful approach to cooking. You show a person how to do it in a simple and unique way which I really like. The chocolate filled rice balls with coconut are awesome.